Maximize your technology investment by working with partners who excel in pairing their performance marketing products and services with Sidecar’s solutions. Certified Sidecar Partners build, integrate, and consult on the solutions that meet our customers’ performance marketing needs. You can work directly with partners to drive efficiency, scale, and results. Whether you want to optimize your feed, better manage tags, or you’re looking for a complete e-commerce platform, a Sidecar partner can help. Extend your team and get back bandwidth. Add ideas and know-how to accelerate your business. Deepen your expertise and resources. 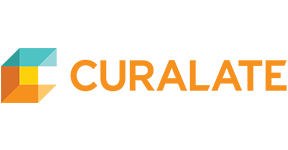 Sidecar Partners provide proven solutions in specialties that are critical to performance marketing success. We blend cross-channel datasets to provide our algorithms the most precise picture of your campaigns’ trends and performance. Our relationships help ensure you can seamlessly implement our technology on your website. Access in-depth expertise and market-leading tools to continually maintain optimized product feeds and tags. These technologies complement Sidecar’s ability to curate and deliver content at scale for your campaigns. We’ll tell you more about the Sidecar Partner Network and connect you to the best partner for your needs. Looking to join the Sidecar Partner Network instead? Adobe provides its users with digital marketing and media solutions. Adobe's creative, marketing, and document solutions empower everyone—from emerging artists to global brands—to bring digital creations to life and deliver immersive, compelling experiences to the right person at the right moment for the best results. AgoraSource pursues simple, creative solutions for your company's technology challenges, including custom software development, technical consulting, and cloud enablement. The mission of Analyze Corporation is to remove the barriers to consumer analytics for all businesses. Our platform (Analyze Clients) is a cloud-based, self-service analytics solution backed by deep AI and big data analytics. Our customers are able to quickly, within minutes not months, move from gut-feel to data-driven marketing strategies and insights that accelerate revenue growth and create competitive differentiation. All of that at a fraction of the cost. BigCommerce is the world’s leading cloud e-commerce platform for established and rapidly growing businesses. Combining enterprise functionality, an open architecture and app ecosystem, and market-leading performance, BigCommerce enables businesses to grow online sales with 80% less cost, time, and complexity than on-premise software. BigCommerce powers B2B and B2C e-commerce for more than 50,000 SMBs, 2,000+ mid-market businesses, 20 Fortune 1000 companies, and industry-leading brands, including Assurant, Ben & Jerry’s, Paul Mitchell, Proctor & Gamble, Sony, and Toyota. For more information, visit bigcommerce.com. 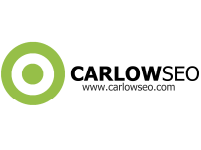 CarlowSEO is a full-service search engine optimization company with specialties in SEO, SEM, web marketing, IT services, Shopify, and e-commerce. Curalate is a leading marketing technology company that enables brands to sell online more effectively. Curalate's discovery-driven commerce platform is in use by 800+ of the world's most-loved brands, including Urban Outfitters, Sephora, and J.Crew, touching hundreds of millions of consumers monthly. With Curalate, brands grow engagement and revenue at scale, utilizing lifestyle content from a wide variety of sources, including user-generated content (UGC). 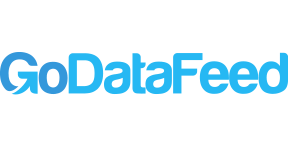 GoDataFeed allows customers to syndicate product data feeds and optimize listings to over 200 marketplaces, PPC channels, mobile shopping apps, and social networks. 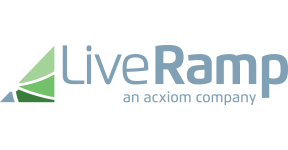 LiveRamp offers brands, and the companies they work with, identity resolution that is integrated throughout the digital ecosystem, providing the foundation for true omnichannel marketing. 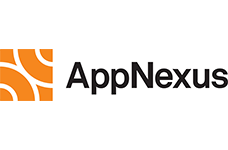 The company provides data onboarding, empowering marketers to use their customer database in their choice of online advertising platforms for targeting, ROI measurement, content optimization, and more. 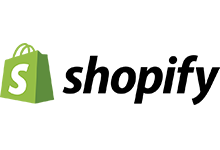 Macarta is a marketplace consultancy firm and outsourcing partner focused on helping brands and retailers optimize sales and grow revenue on Amazon. Macarta provides Amazon optimization, consulting, marketing, and yield management. Whether you’ve been selling on Amazon for years, or you’re just getting started, Macarta can help take your brand to the next level. Shopify is a cloud-based, multi-channel commerce platform designed for small and medium-sized businesses. Merchants can use the software to design, set up, and manage their stores across multiple sales channels, including web, mobile, social media, marketplaces, brick-and-mortar locations, and pop-up shops. 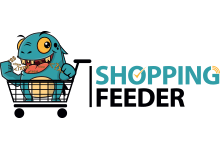 ShoppingFeeder is a feed management and product data optimization platform. The company provides a simple, yet powerful platform for online stores to manage and keep tabs on their product listings on third-party marketplaces and price comparison services. In addition to single-click shopping cart integration, ShoppingFeeder offers advanced referral/click and order/sales tracking to produce detailed ROI and conversion analytics. 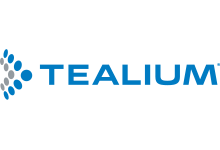 Tealium is a provider of a tag management system, including analytics, advertising, and affiliate enterprise websites. With the power to unify customer data into a single source of truth, combined with a turnkey integration ecosystem supporting more than 1,000 vendors and technologies, Tealium’s Universal Data Hub enables organizations to leverage real-time data to create richer, more personalized digital experiences across every channel. 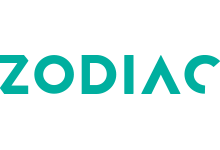 Zodiac is a customer centricity platform that accurately predicts the purchasing behavior and lifetime value of individual customers and customer segments. Founded in 2015 by a team of Ph.D. statisticians and data scientists at the University of Pennsylvania, Zodiac leverages a company’s historical transaction logs to predict each customer’s future buying habits. Marketers, financial professionals, and data scientists trust Zodiac’s predictions to improve customer acquisition, reduce churn, and enhance the accuracy of sales forecasts.